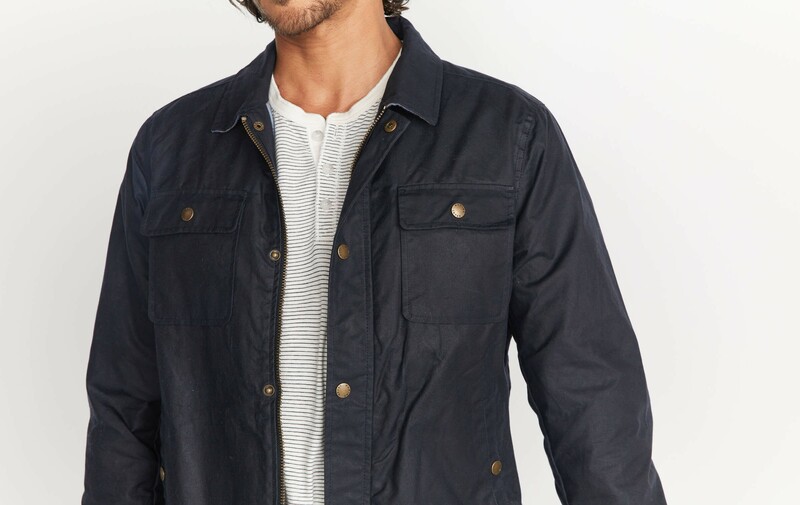 This coat has it all: water-repellant waxed coating for protection against the elements, custom brushed flannel lining, and engraved Marine Layer snaps. Keeps you warm, keeps you dry, keeps it real. 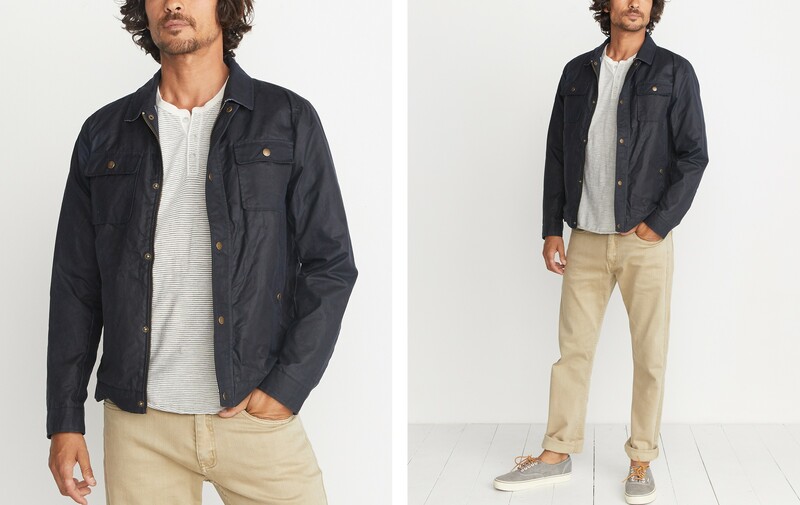 We spent a lot of time choosing the wax for this jacket because it's called a waxed jacket. So the wax is pretty important. We ultimately went with a Scottish vendor who's been proofing fabric against the elements since 1864. 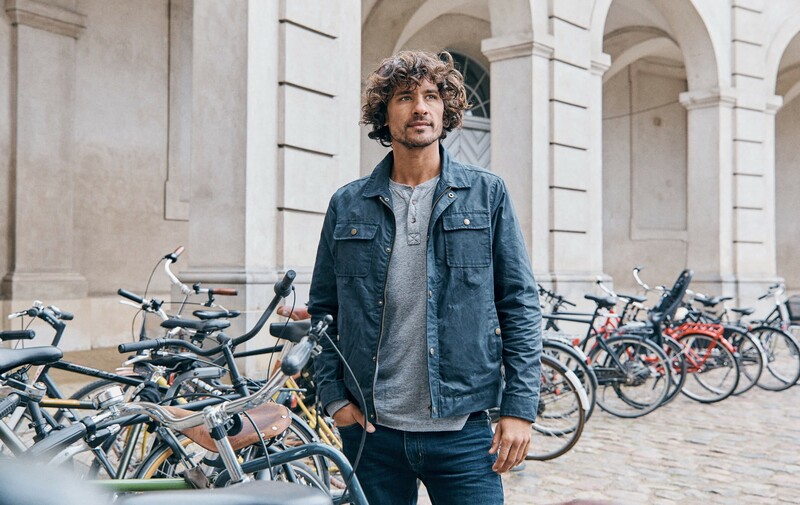 This wax is water-repellant, durable, and when the fabric is bent, cracks in a way that gives the coat a unique distressed appearance. Made with 100% authentic proofed cotton in custom colors ya can't get anywhere else.